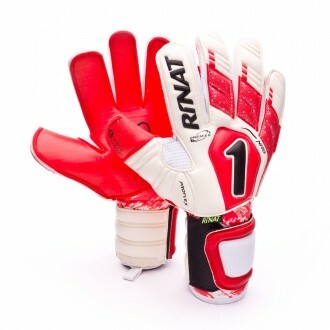 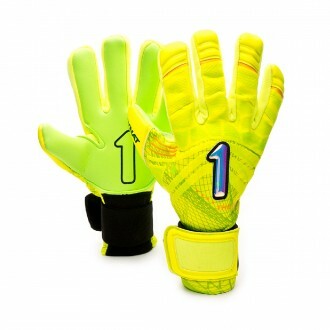 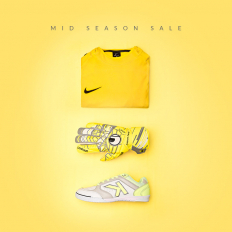 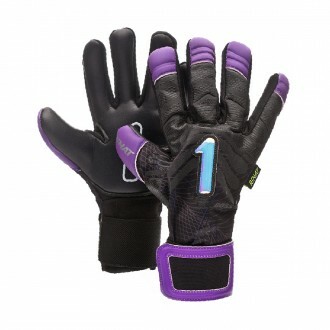 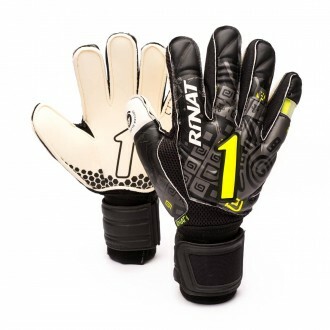 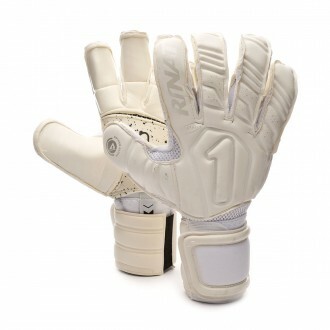 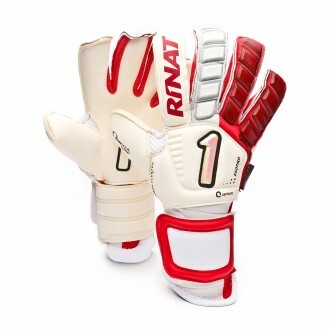 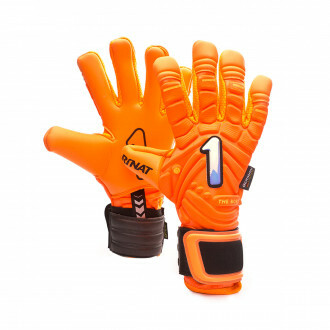 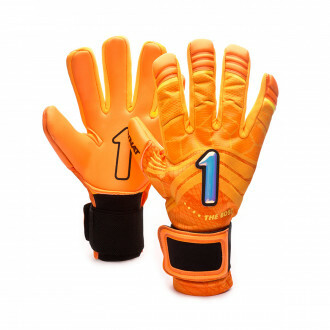 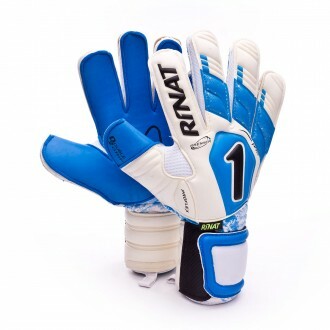 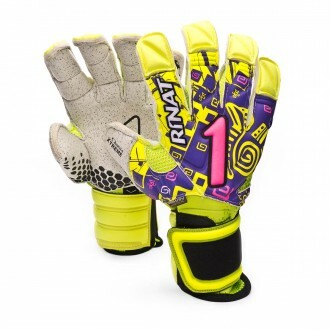 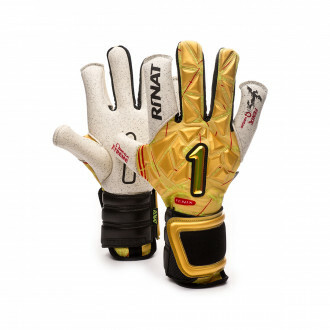 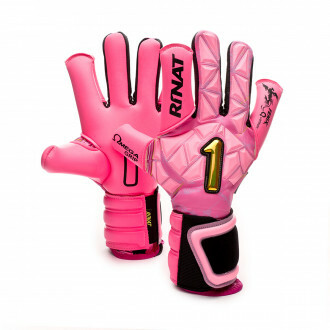 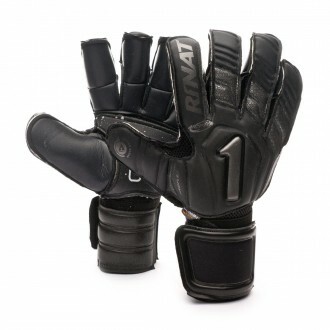 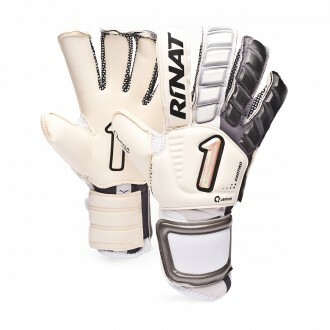 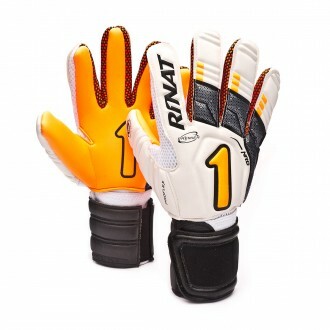 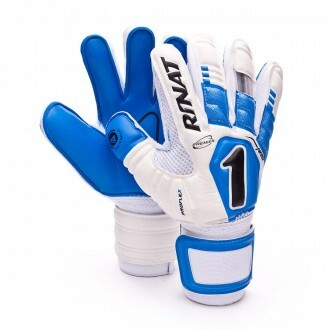 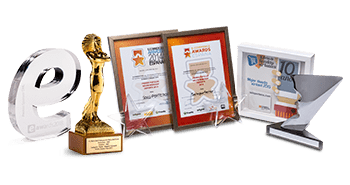 In this section you will find goalkeeper gloves by the brand Rinat. 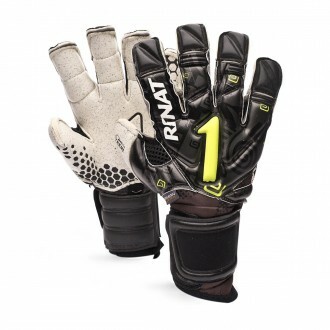 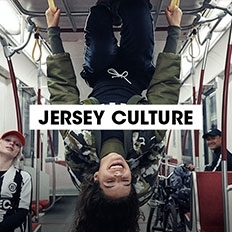 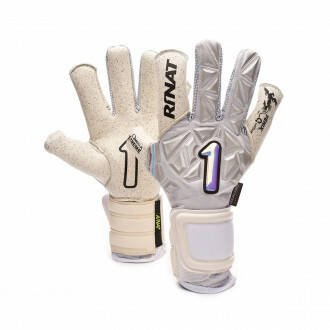 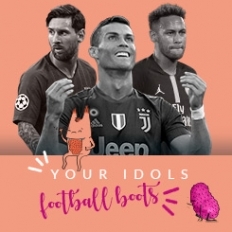 When we at Futbol Emotion saw RINAT's collection from last season, we were impressed by its aesthetic, its closure and ventilation systems and the feel when you put it on. 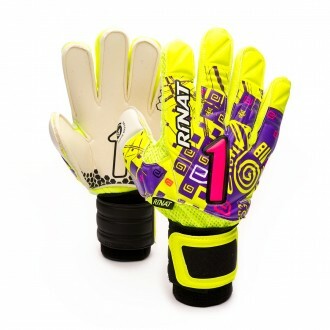 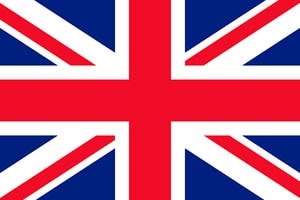 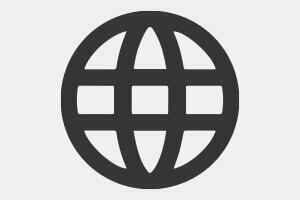 But we also noticed at once that it was a model of glove too adapted to the Mexican market: tall grass, complete lack of humidity and high temperatures. 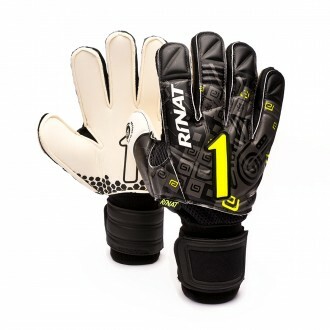 This season they've surprised us with a new water-specific latex, more technical backhands (the feel of the combination of latex, rigid parts and elastic textiles is just incredible), a special wider-than-usual closure for the whole collection, one that covers all the needs of those goalkeepers, from the most sturdy to the most technical and light glove.